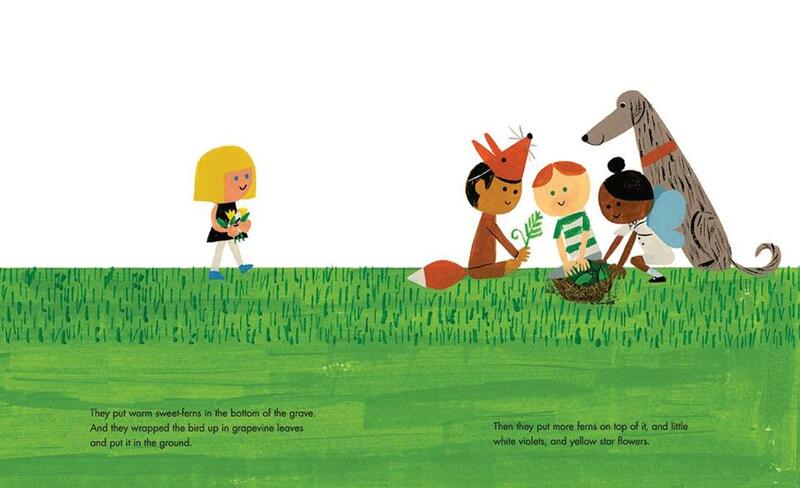 Summary: Margaret Wise Brown’s classic book, first published in 1958, has been reissued with new illustrations by Caldecott Honor winner Christian Robinson. 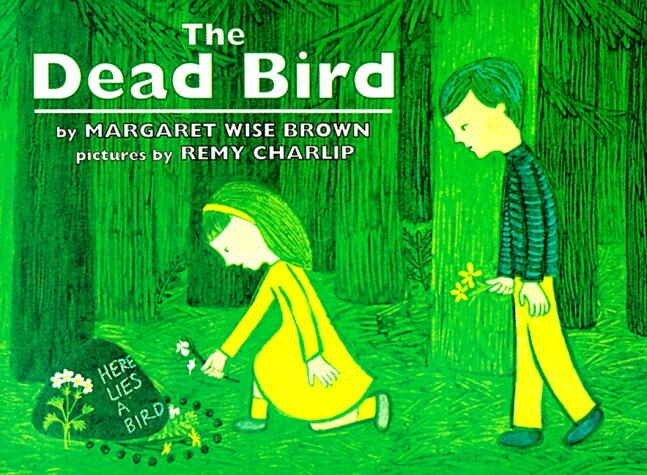 When a group of children find a dead bird in the woods, they decide to have a funeral for it. They find a place to dig a hole, wrap the bird in grapevine leaves, and cover it with ferns and flowers. They sing a song to the bird (lyrics included in the text), cry a little, cover up the bird with dirt, and place a stone on top reading “Here lies a bird that is dead.” And every day, until they forget, they return to the gravesite to sing to the bird and decorate the stone with flowers. 32 pages, ages 4-8. Pros: This timeless story benefits from the new illustrations in a larger book. I particularly liked the kid who wore a fox mask to the funeral, apparently practicing his own little ritual. The story remains a gentle introduction to death and dying for children. Cons: I liked the way the original book had an interesting format of alternating pages of text and pictures, allowing the reader to focus on the words before looking at the picture. The new version has text and pictures together.